Lincoln Wheat Pennies with your choice of beads. 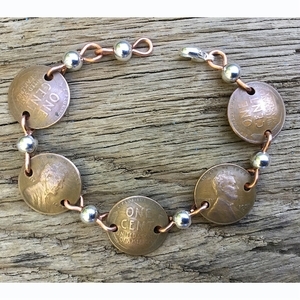 This coin jewelry bracelet comes in your choice of heads and tails (see options). 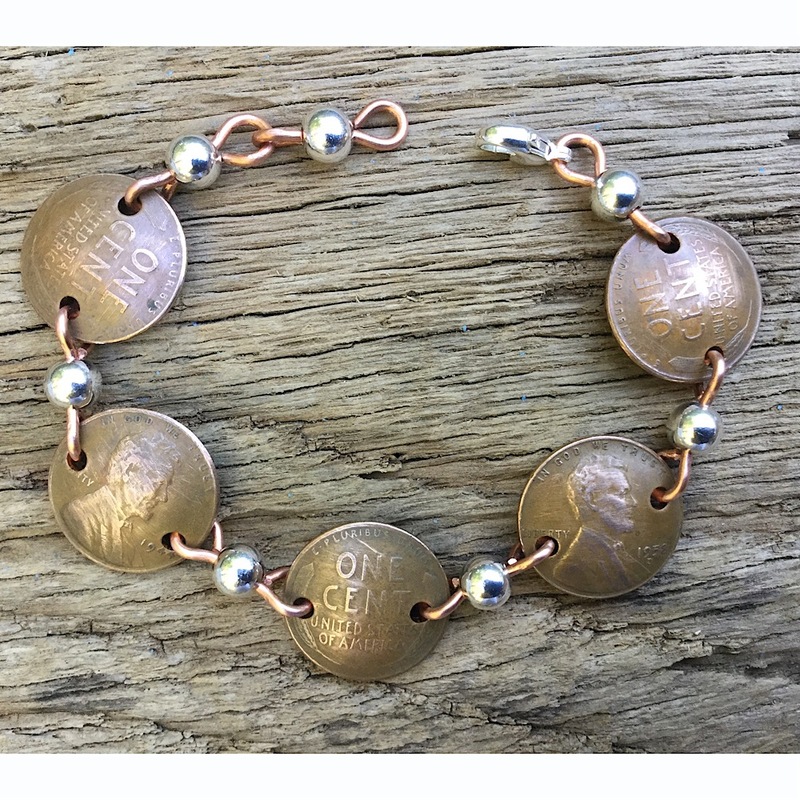 This handcrafted coin jewelry bracelet can be made from your coins for $48. Made in the USA.